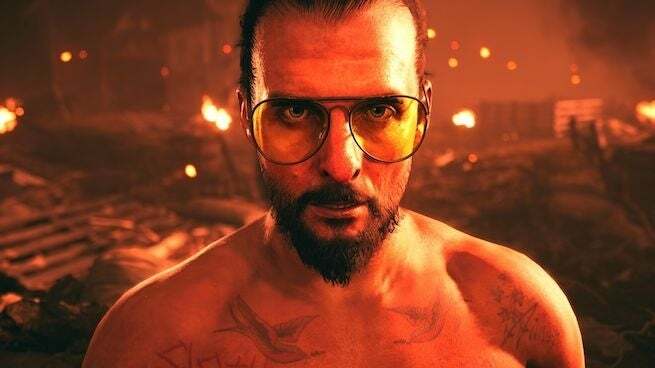 One of the better things in Far Cry 5 is the game’s antagonist, Joseph Seed, also known as “The Father.” And it appears players will be getting more of the character in the future, but in exactly what form, isn’t clear. The character’s performer, Greg Bryk, recently took to various social media platforms to tease hints that players haven’t seen the last of cult-leader, but details beyond this, are unfortunately not provided. The first tease comes way of Instagram, in a post now since deleted. Luckily, one Reddit user screenshotted the post before Bryk removed it from the public eye of the Internet. In it, Bryk posted an eerie selfie of him doing motion capture work, writing “Hello, I’m Back.” #TheFather. On the same day, Bryk also took to Twitter to reveal that he will be in attendance at GameOn Expo in Phoenix on August 10-12 participating in some type of appearance. However, Bryk does seem to suggest the appearance has nothing to do with any new Far Cry content. This is a convention appearance that I committed to after #FarCry5 was released. I will do a few more throughout the summer and fall. So, what could this, particularly the Instagram post, point to? Well, for one it could be for Far Cry 5’s upcoming Zombie DLC, though previous DLCs have been more isolated stories apart from the core game. If it’s not that, it could possibly be a future piece of DLC, perhaps a prequel or continuation DLC that is more story focused and related to the core game. Or it could be for an entirely new project, whether Far Cry 6 or a standalone Far Cry game. Though this seems the least likely scenario. Far Cry 5 just released, after all. So, what is Bryk teasing? Who knows. But there is clearly some surprises in store for Far Cry players coming, and the return of The Father. Far Cry 5 is available for PlayStation 4, Xbox One, and PC.